Since now several years, it was demonstrated that during oenological fermentations, superfluous oxygen consumption by viable yeast cells during alcoholic fermentation is observed and related to the operation of non-respiratory oxygen consumption pathways, metabolic pathways which appear to be also conserved in yeast lees. Wine ageing on lees is a traditional wine-making technique used in many countries. Potential oxygen consumption by lees and more precisely by non-viable yeasts during wine ageing was already shown. Such an oxygen consumption by Saccharomyces cerevisiae lees was recently proved to be related to a mild oxidation of membrane lipids, and more particularly of yeast sterols by the action of free radicals. 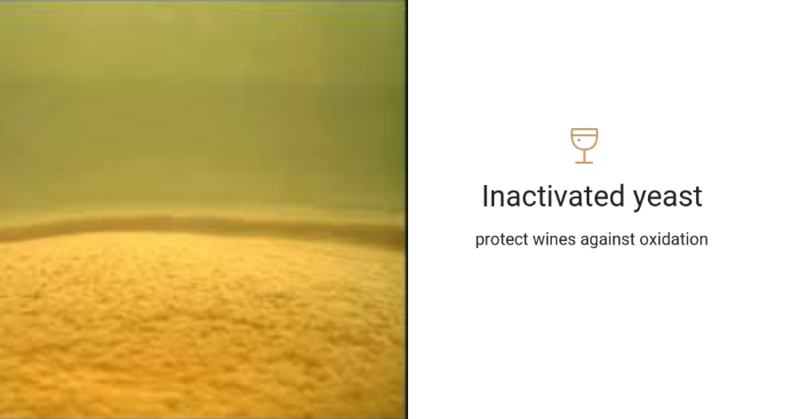 Such a potential of oxygen consumption by non-viable yeast cells could be therefore applied for the protection of wines against oxidation during storage and/or ageing. This work search amongst inactivated yeasts those that maintain an efficient ability to consume oxygen, in order to be able to apply these non-viable yeasts on wines susceptible to oxidation along storage and ageing.